Two breathtaking backpacks to choose from. Choose one to fit her style. 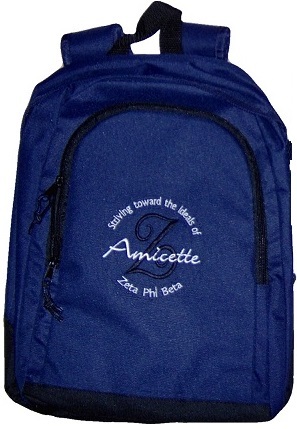 Each one has "Striving toward the ideals of Zeta Phi Beta" embroidered around its design. Choose from the Z Design (shown) or Crest Design.